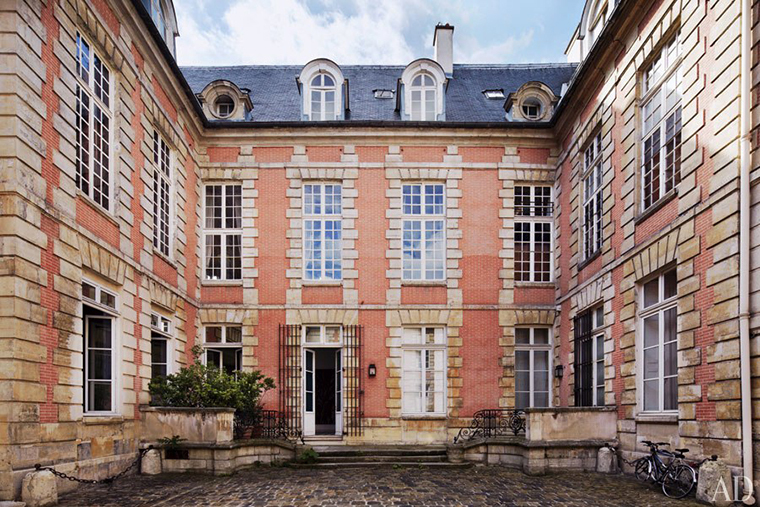 The Seguins’ apartment is on the ground floor of a 17th-century mansion in the Marais district. 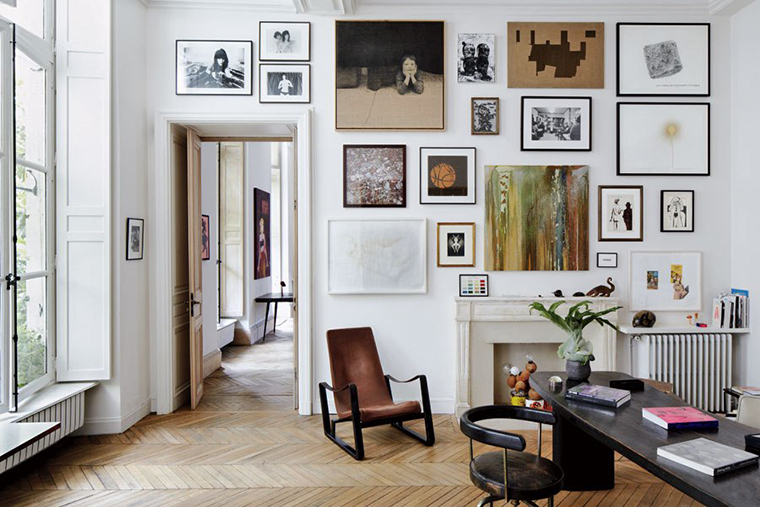 Husband-and-wife design dealers Patrick (left) and Laurence Seguin stand in their Paris living room, among some of their best-loved possessions. Under the Richard Prince nurse painting, an Alexander Calder mobile rests on a Charlotte Perriand/Ateliers Jean Prouvé table. The silkscreen (far left) is by Andy Warhol, and a Jean-Michel Basquiat pastel is displayed on the far right. The settee and chairs are by Pierre Jeanneret, and the cocktail table is another Perriand/Prouvé creation. 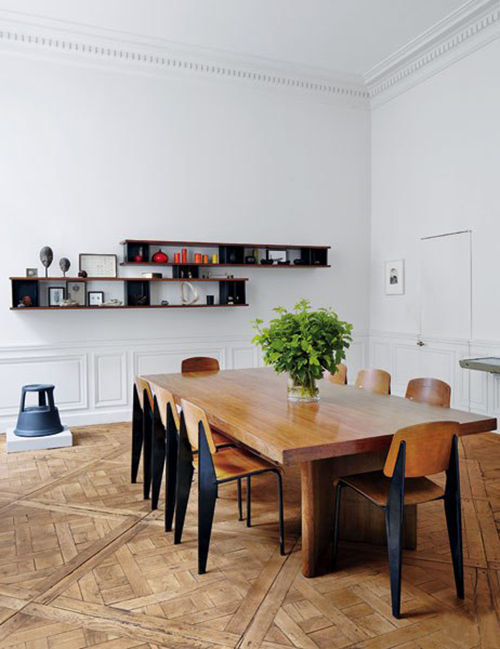 Prouvé Standard school chairs surround the dining room’s Jeanneret conference table; the shelves are by Perriand/Prouvé, and the parquet de Versailles floor is 18th century. Patrick's study features a wall of artworks by Richard Kern, David Noonan, Sam Durant, Carol Bove, and others; Jeanneret and Perriand designed the desk and swivel chair, while the lounge chair is by Prouvé.